Choose a vacation home that meets your requirements. 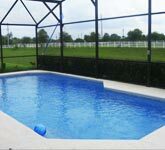 With a wide range of Orlando vacation rentals with real time availability and online instant booking, you don’t have to leave your desk to find the perfect Orlando vacation homes. With the modern amenities of a hotel combined with the comfort of living in a home, Advantage Vacation Homes will make sure your magical Disney vacation is a dream come true. 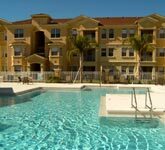 With an Orlando vacation homes, you will enjoy large comfortable space, multiple rooms for any type of family, a fully appointed kitchen, multiple full baths, your own private covered swimming pool with optional pool heating, and other thoughtful luxuries of a home. 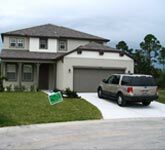 No more cramped rooms, housekeepers knocking and noisy strangers on the other side of your room, just comfort, privacy and the freedom of a lovely Orlando vacation home. 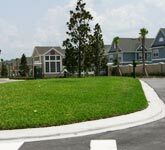 The Advantage Vacation Home team also has special rates for not just vacation rentals but also for car rentals as well as Walt Disney World® Resort and Universal Orlando ® Resort park tickets. We have a range of guest services that will help you plan and choose the right activities for your group whether it be the country’s most unforgettable theme parks, sports complexes, championship golf, or shopping… Pick a vacation rental with Advantage Vacation Homes today. So much to see and do! Make all your dreams come true in four uniquely themed parks, each with its own special version of Disney magic! has arranged for Kissimmee Guest Services to provide attraction tickets for all our guests. Not only will you find the lowest prices but you will receive excellent service.